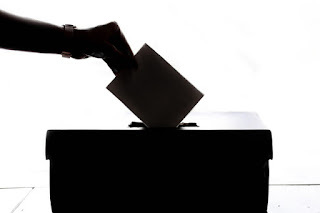 Stock Market Investing for Employees Blog: Do Elections Matter for the Stock Market? The Stock Market Investing for Employees blog is a supporting educational tool of the book "Stock Market Investing for Employees," the details of which are available at www.smi4e.com. The aim of the blog is to share ideas on investing, especially stock investing. Do Elections Matter for the Stock Market? With the Lok Sabha elections just around the corner, one set of data is doing the rounds. Some data crunchers have compiled market returns during various governments. The outcome is that elections don’t matter for the stock market. As the data suggests, the market has given healthy returns even during coalition governments and majority governments don’t directly imply good stock-market returns. Now that’s a view coming from a businessman rather than analysts and data crunchers. Data is a manipulative object. You can find any data to suit your beliefs. It is not the belief that flows out of data, but the analyst finds the suitable data to match his beliefs. Hence, you can’t really trust data. That’s counterintuitive because data is generally considered to be unbiased and non-partial. It’s the opinion that’s colored. But data can have many underlying determinants and conditions which are generally not visible. That’s what makes relying completely on data dangerous. Data does nothing more than give a false sense of certainty and control. So, what to do? Combine data with common sense. Data devoid of common sense is worthless. It can only deceive you. To me, common sense suggests that governments are absolutely crucial for businesses and hence the stock market. Imagine a cabinet that rolls out one anti-business, populist decision after another, without worrying about the economics. Imagine a government that is engaged in corrupt practices. What will happen to the stock market? Sometimes the effects can be so distanced from the primary cause that the data doesn’t capture them as one entity. For instance, if a policy decision produces its effects in two years, you won’t find the impact on this year’s stock-market returns. A case in point is the state of government-run banks. Before the ongoing clean-up, they were virtually zombie banks. But the stock-market-return data didn’t capture it. During the clean-up, their stocks fell, so the data would show negative market returns. Now once clean-up has been done, their stocks will likely soar. But when this happens, the government will have changed. If it’s a coalition once again, the data will show the market racing, thus implying that the market can race during coalition governments as well. That’s farcical. In the stock market, as also in elections and most other matters, common sense is your best friend. Don’t ever trade it with data. Data should just be a tool, not your master.